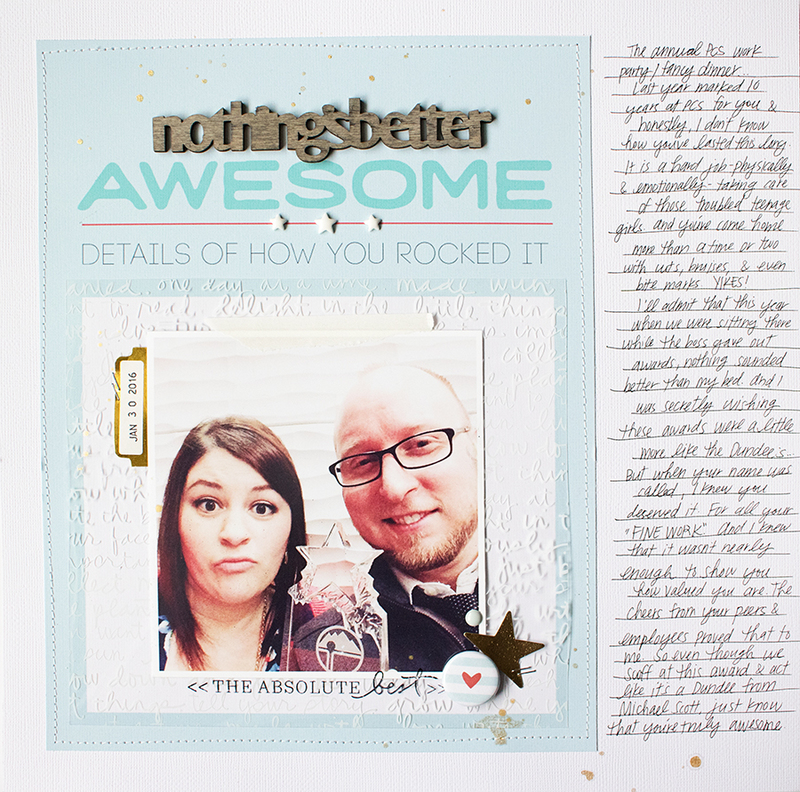 This layout uses an oversized 3x4 card from the Encouragement Journal Cards (I show you how I did this in the process video) and minimal embellishment with lots of words about my husband winning an award at work. Loved using that older white printed transparency from Studio Calico as a photo mat! If you want to see how it all came together, watch the video below. You know that photos that perfectly illustrate a relationship? This next layout has one of those and I love it. This is my daughter and my nephew Denver. That kid has been attached to her hip almost since he was born. It is so adorable. This is a story all about how... did you start singing Fresh Prince? ...my life got flip turned upside down. Nope. Not that. This is a story all about how Malia just loves this kid and has never once complained when he follows her around and wants to be picked up all the time. She is the best cousin. It uses one of my favorite digital releases this month - the Messy Love Circles. I made a little tutorial about how I colored these and printed them on patterned paper. You can watch it below, or over on my YouTube channel. I also used words from the Thick Valentines digital brushes to create my title using my Silhouette. Thanks so much for stopping by! I've included product links for both layouts below. Jen - I had no idea that you could enlarge Ali's journal cards and use them as paper, but still maintain good clarity without them looking all pixelated. I also loved how you mixed bits of various old kits and other stash. Thank you for inspiring me to look at my digital files and supplies in a new way! Thank you for showcasing your hybrid prowess! I hope it encourages others to consider using digital files. Your example is so lovely and approachable; a great "gateway" to digi layout! Oh I haven't had time to watch these and can't believe there's two! Yay! Off to YouTube I go!